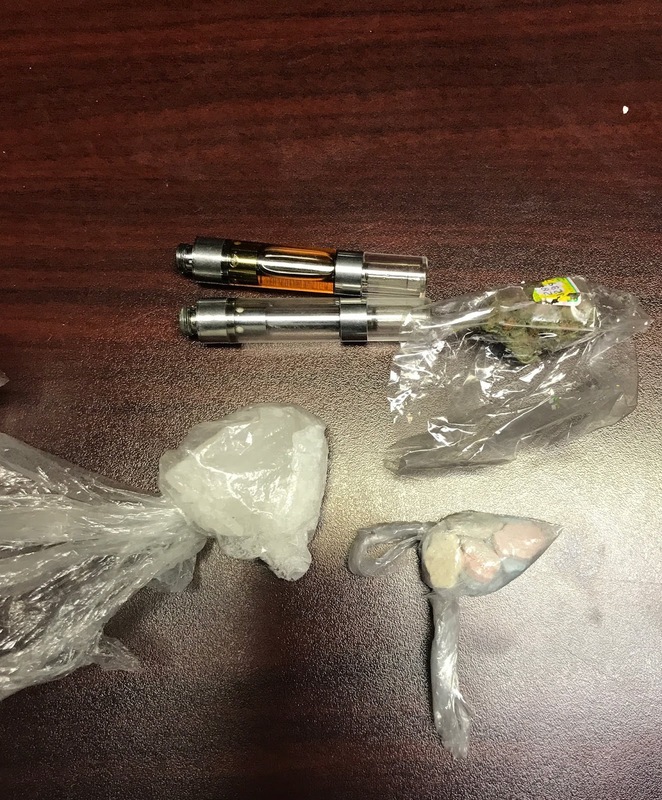 Items seized during the March 30 drug related arrest. On March 30, the Licking Police Department conducted a short-term narcotic investigation. During the course of the investigation, a traffic stop was conducted and vehicle subsequently searched. During the search, a Licking Police Officer located a medical glove partially hidden beneath the dash of the vehicle. Upon further inspection of the glove, the officer located a baggie containing less than 35 grams of marijuana, another baggie with a substance that contained ecstasy, THC oils, and another baggie containing approximately 10 grams of methamphetamine. All items located were seized as evidence. Christopher L. O’Neal, age 36, of Bogue Chitto, Miss. was arrested for possession of a controlled substance except 35 grams or less of marijuana, unlawful use of drug paraphernalia, possession of marijuana 35 grams or less, failure to show proof of insurance, exceeding the posted speed limit and failure to drive on right half of roadway. A probable cause statement will be forwarded to the Texas County Prosecutor’s Office seeking formal charges.